The Terran Federation has been completely unprepared for the invasion of the Entomolians. So much energy and resources were directed against the Avarians and the Delta Sector rebels that the Entomolians have managed to conquer five heavily populated star systems almost at once. Once Earth realized what happened, all but a few near-renegade admirals pulled out of operations in Delta Sector to protect Beta Sector. All of the doves in parliament were either recalled or switched their platforms to prepare humanity for its true battle for survival. Production levels have quadrupled those at the height of any previous war, and yet the Fed Navy has barely managed to keep up with losses. Unofficially, the war with the Avarians is over. Few incursions by the birds even occur, since many of their own worlds have been crushed by this new threat (one they claim is actually ancient to their own culture). 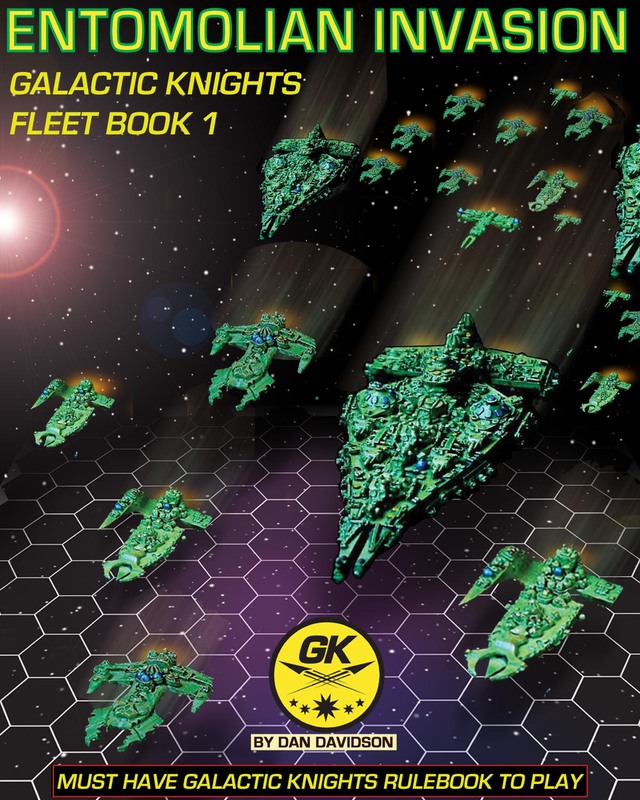 Now get the fleet book that details the ships and ship designs for the new threat to the fleets of the galaxy. Included are ship design rules, new weapons, stock Entomolian ships of every size and blank ship records to generate your own fleet.